American house music producer, real name Marc Kinchen, who reached No 1 on the US Billboard Hot Dance in the mid-nineties with the tracks 'Always' and 'Love Changes'. Other important tracks include "Burning" and Nightcrawlers "Push The Feeling On".  In 2002, MK became an in-house producer for the actor and singer Will Smith.